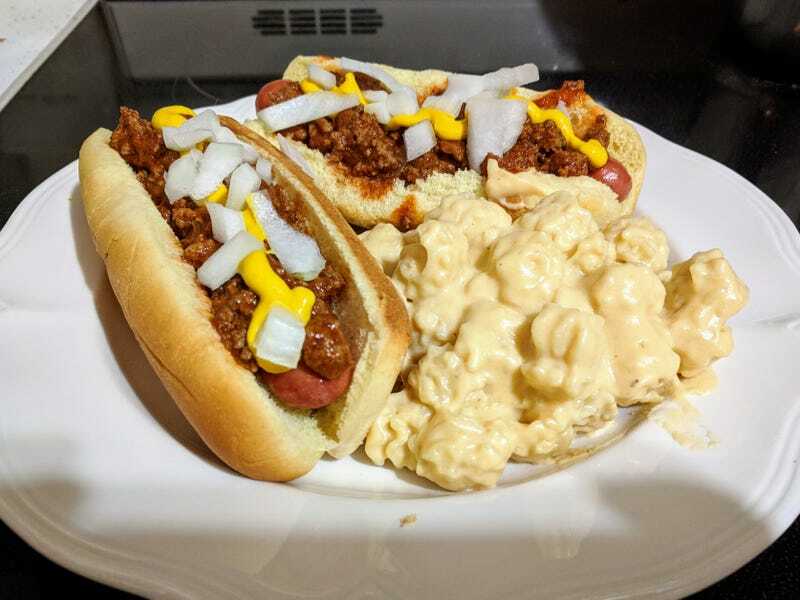 Always wanted to make my own Coney chili. It came out better than Hormel (not an accomplishment), but it’s not quite what I was hoping for. Mac’n’cheese came out great though.